Restores the pH balance of the skin. 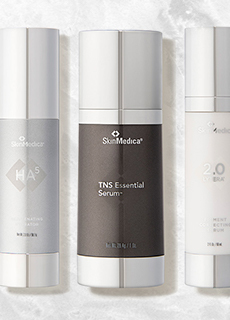 The Obagi Nu-Derm Toner #2 is the second step in the Nu-Derm System regiment. 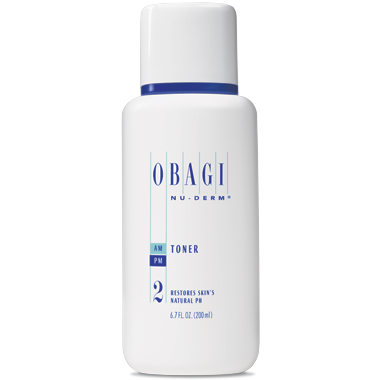 Applied directly after the Nu-Derm Foaming Gel or Nu-Derm Gentle Cleanser, the Obagi Toner refreshes the skin surface while hydrating and toning. Natural extracts and Aloe Vera allow the Toner to leave the skin feeling smooth, fresh, and refined. 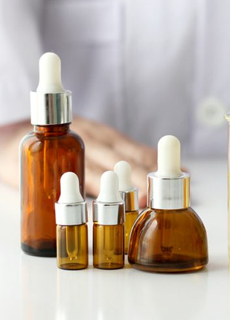 The Obagi Nu-Derm Toner actually restores the pH balance of the skin, allowing better absorption of the next steps in the Nu-Derm System as well as other skin care products such as creams and serums. The Nu-Derm Toner is ideal for normal, oily, dry and combination skin types. The gentle formula does not dry out the skin and causes no irritation, rather soothes and calms. The Toner is most effective when used twice daily, once in the morning and again at night to achieve a smoother, radiant looking skin.